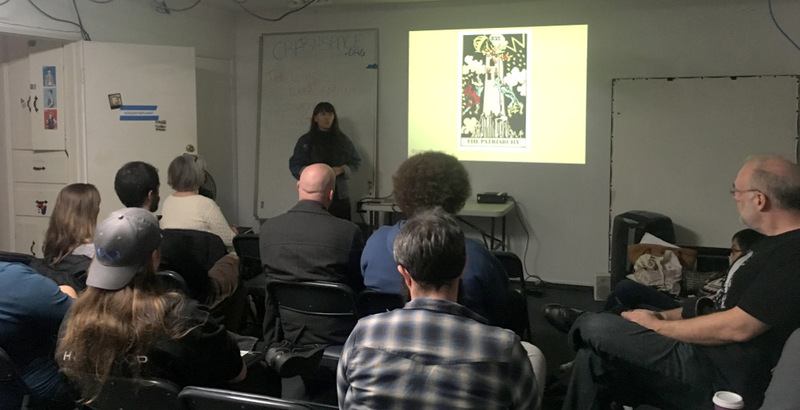 In November, CRASH Space kicked off the Civic Engagement Survival Guide: a series of free talks and workshops focused on creating a community that is informed, organized, and engaged. Our first speaker in the series was Patricia Realini, a software engineer and artist who engages in efforts to raise the level of public debate on issues that affect underrepresented minorities. Her talk, Intersectionality & Allyship, provides an introduction to social justice, as seen through the lens of intersectional feminism. Learn more about Patricia by following her on twitter. Watch past videos or view upcoming events on the Civic Engagement Survival Guide.